Hold a compass to you heart and you will find your true hearts’s desire lies to the north! Which just happens to be my name! Hello everyone. My name is North and I am a handsome 2 year old Boxer mix weighing in around 60lbs. Not only do I have good looks, but I am a super funny and playful guy! My favorite thing to play with are those soft squeaker toys. I even sometimes carry my favorite one around with me outside! Speaking of playing, I have made some great doggy pals here at Pixie. Dog parks are just a little too overwhelming for me, but another dog or cat friend in the house would be just fine! I would be a great hiking companion, as I love to be out and active. Because of my puppy like wiggles and bounces, I would need to be in an owned home kids over the age of 10. 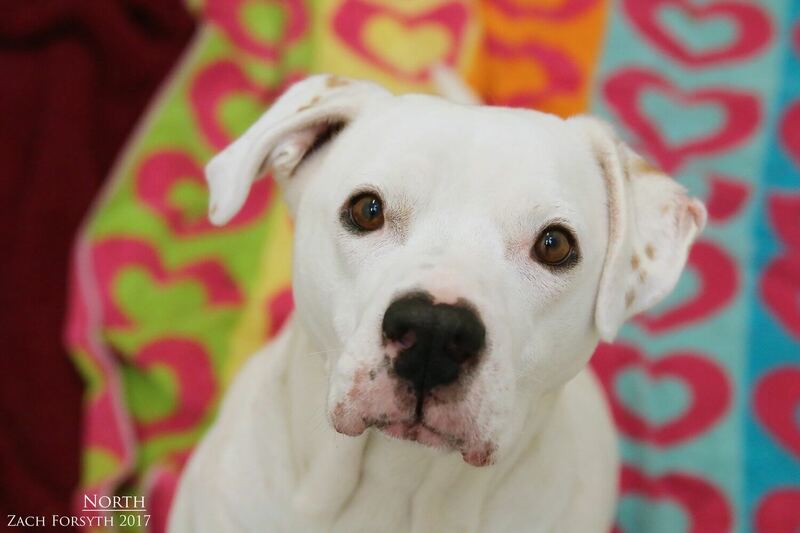 I am just a cute, snuggly, bouncy and fun guy with a heart of gold. Speaking of gold, I heard there is some more to be found out there. Grab that compass and let’s go on the next adventure…together!! Fill out an application today and we can set up a meet. I come to you neutered, vaccinated, and micro-chipped with an adoption fee of $300.